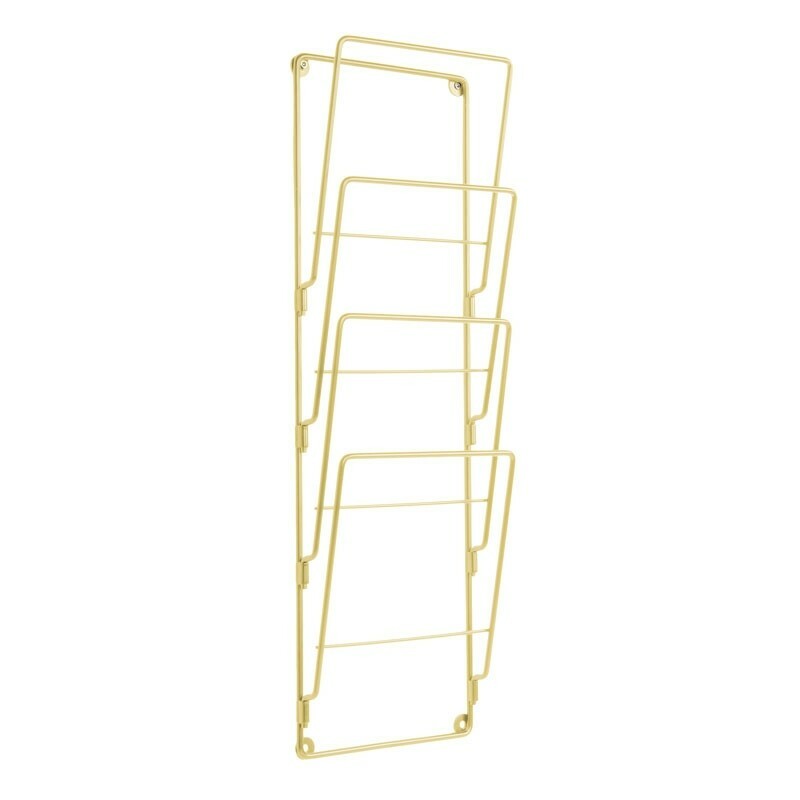 There's more to this sleek Wire Wall Magazine Rack - Gold than meets the eye! Featuring a gold-plated steel wire frame, it's both practical and eye-catching. Easy to mount on either a wall thanks to the four screw plates at the back, this light wire rack is ready to make an impression! Measuring 60cm x 19cm, this wall storage rack from Present Time is designed to hold make the most of the available space; be it an entire wall or a small recess. With space for several magazines in each one of the four slots, it's not only stylish, but also very versatile. Showcase your favourite periodicals and catalogues or store your rag mags and stationery neatly at out of sight. Have a single rack in the restroom, or align several of these racks in a unique layout to make your home office stand out; it's up to you and your imagination! View the rest of the range on the right hand side - including black and steel versions.